For timely automotive service, honest answers, and everyday great rates, bring your vehicle in to Westside Auto Repairs & Maintenance! 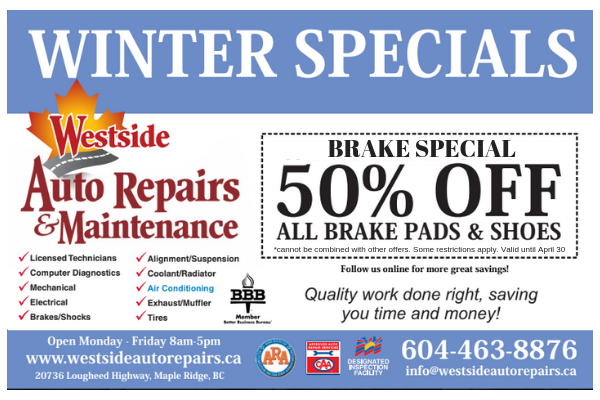 For over 25 years, our Maple Ridge auto repair facility has provided complete maintenance and repairs to cars and trucks. We’re also your team of air conditioning and computer diagnostic specialists. 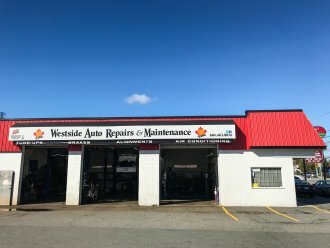 You can take your vehicle anywhere to have work done, or you can take it to Westside Auto Repairs for quality work done right, saving you time and money. Our mechanics, quality service, and premium parts are the reasons customers come back to us whenever they require maintenance or a repair. If it’s your first time visiting our shop, you can find directions to Westside Auto Repairs on the Contact Us page. Auto Repair facilities are on the leading edge of creating a greener, more enviromentally-friendly world. Dear Westside: Keep up the good work! I’ve never had anything but stellar customer service, and will be putting renewed effort into getting the good word out! I am a loyal customer of Westside Auto. I have ALWAYS been treated to incredible customer service. My car is well cared for and I am treated with the utmost respect. Everyone has always gone above and beyond to make sure I’m completely satisfied. I’ve recommended them to all of my friends. Thanks again!!!! I have been a customer of Westside for 18 years now. I have a commercial fleet of trucks and we can’t afford downtime. Westside has always done their best to get us in and out in a timely fashion, usually the same day. They may not be the cheapest on the block, but I have found that their repairs were done with quality parts and on time. The importance of getting what you pay for (quality parts) translates to “job is done right the first time” and we don’t have to get the work done again due to poor quality parts and shoddy workmanship. What can I say? 18 years and we still keep coming back! Yes they will give it to you straight, sometimes more abruptly than you want to hear! They have a busy shop and sometimes there is not enough time to teach us how things work or break. 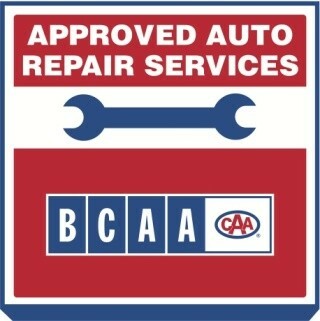 •Keep Your Vehicle Safe & Reliable. •Make Every Dollar You Spend Help Your Vehicle Go Further. •Have Every Customer be Completely Satisfied with Our Services.